• BETAT Casino Review - A Good Real Money Gaming Option? BETAT Casino is not shy about what it expects its players to do: BET! This is advertised as a ‘real casino for real players’ so presumably ‘fake’ players will have to look elsewhere. 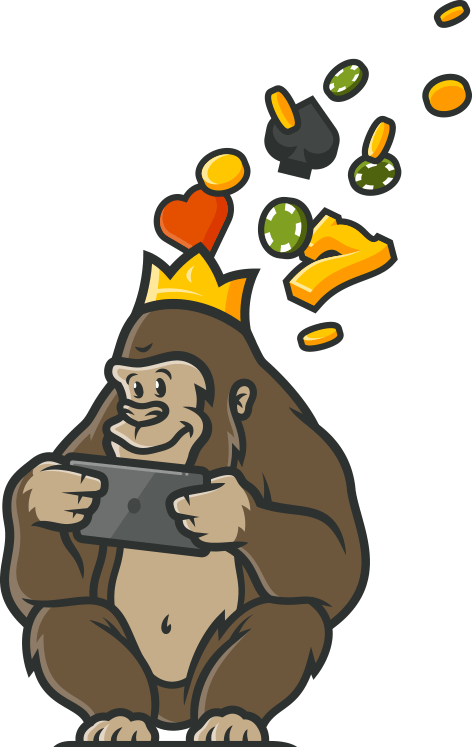 The Casino Gorilla was left scratching his giant head at some of the promotional blurb at this site, but he was intrigued by a welcome bonus which promises not to lock in your winnings with any wagering requirement. No wagering requirement? Is this too good to be true? The Casino Gorilla is on the case! On the face of it this is a pretty sweet welcome bonus from BETAT Casino. They advertise a bonus of up to £150 which ‘does not tie in real winnings’. What this means in reality is that any money won solely with your bonus funds has no wagering requirement. However, if you want to withdraw the bonus or any money you make using it then you will need to complete a 30x wagering requirement in just seven days. That’s £4,500 in wagering if you get the maximum bonus amount, and there are some pretty tight restrictions on which games qualify, with slots like Big Bad Wolf, Bloodsuckers 2 and Gonzo’s Quest not counting towards wagering requirements. That being said, it’s not the worst offer in the world either and a lot of people will want to take advantage of this welcome bonus. Besides the bonus cash, BETAT Casino are also offering 50 free spins on the always popular Starburst game for new joiners. Anything you win using your free spins will be converted to bonus funds which means they must be wagered 30 times before they can be withdrawn. Like with the cash bonus, you are going to have just seven days from claiming the bonus to complete the wagering requirement. Starburst is one of those games which can leave you spinning without success for 5, 6 and 7 turns only to release a Starburst bonus spin to pay out a nice sum of cash. If you are a fan of NetEnt’s most popular game then you will want to take advantage of this offer. You will not need to enter any bonus code in order to claim the welcome offer from BETAT Casino. When you make your first deposit of between £20 and £500 it will be doubled without any code being required. Simply make your deposit and then enjoy the free bonus funds that come along with it. Future promotions may require a bonus code – check the promotions page for details. If you are looking for live dealer casino games, then you have come to the right place. BETAT offers a great selection, with blackjack fans especially well catered for. The options available also include baccarat, roulette and casino hold ‘em for poker fans. There are no fewer than 10 blackjack tables available in the live casino rooms so you will never have to wait for a seat. The baccarat variations include speed baccarat and baccarat squeeze, if you feel like a bit of variety. Smartphones are now the number one way that people choose to access the internet, and that includes casino gaming. The BETAT Casino is fully compatible with all modern Apple and Android phones and tablets, so you will always be able to play on the go. Just make sure that you have a secure wireless connection, particularly when you are playing live dealer games as these use a lot of data. Whether you prefer to pay via desktop or mobile device, BETAT Casino offers a high-quality gaming experience. Security is certainly not an issue with BETAT Casino, which is fully licensed and regulated by the Malta Gaming Authority. They now what players are looking for and one of those factors is fast pay-outs, which is why this casino promises to process withdrawals in a super-speedy four hours. What’s more, no transaction fees are charged on any deposits made to the casino. Choose debit and credit cards, e-wallets like Ecocard, Paysafecard or Zimpler or just go for the bank transfer option. Whichever you prefer, BETAT Casino makes the process as fast and painless as possible. That Malta Gaming Authority license is a guarantee that BETAT Casino must abide to the strictest of gaming conditions. That is good news for players, as it ensures that the games are all fair and that transactions are processed smoothly and without restrictions. This site is also licensed by the UK Gambling Commission for players from that country, which again is one of the best regulators around. Personal details and transactions are protected by fully secure encrypted software. Get in touch via live chat or email to discover their level of customer support for yourself. Live chat is available from 9am to 1am CET but of course you can email at any time. Customer support is the public face of any online casino, and we are pleased to report that BETAT Casino offers some of the best support you will find, even if it is a shame that no phone contact is available. Canada, Portugal, Bulgaria, Estonia, Macedonia, United States, Samoa, the US Virgin Islands, France, Australia, Italy, Spain, Afghanistan, Bahrain, Hong Kong, Indonesia, Malaysia, Myanmar, Saudi Arabia, South Korea, and Thailand. 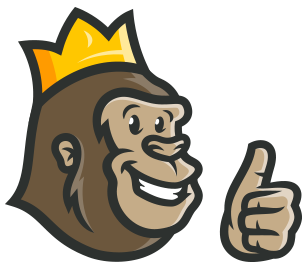 BETAT Casino suffers from having a pretty clunky name, but the Casino Gorilla is happy to overlook that given what’s on offer from this site. Launched in 2011, BETAT is now an established name and provide a great selection of games. Having deposit funds locked into a bonus is a constant source of complaint among players, so it’s nice that this casino recognizes this problem and does away with it. Payouts are fast and there are lots of promotions to choose from, making this a very strong online casino. Has a great welcome bonus. My deposit was matched by 100% and I was also awarded 50 free spins on Starburst which happens to by my favourite slot at Betat Casino. Can you believe it?! This casino has a lot of games from reputed game developers like Microgaming and many others. Loved the selection of games available and all run very smoothly without any problems so far. Great live dealer games and helpful customer support. I use my iPhone to play and all games operate smoothly. Fast payments too!